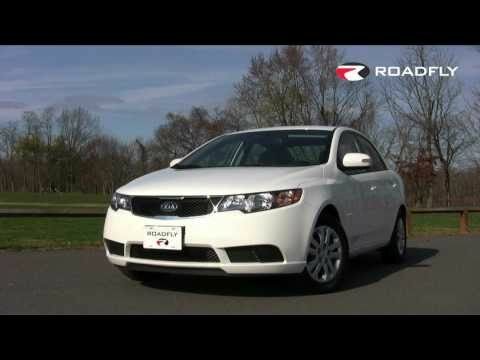 If stylish, tech-savvy and affordable are among your key compact car wants, give the 2010 Kia Forte a spot on your short list. My vehicle is light, easy to handle, travels smoothly with a great gas mileage. My vehicle is a really nice model and year Kia. I find that it really meets my mileage needs. I drive very often, it is my daily driver. My normal drives average no less than 15 minutes, and I often take drives that take over 9 hours. I depend on this car to carry me safely through each Journey, and she delivers. The gas mileage averages around 30 mpg. The car is also a very comfortable drive, smooth on the road. One of my favorite features of my car is the turn radius. She can pull a u turn in the tightest of places and maneuvers very softly. My brakes are very responsive and have never had problems there. I really have an appreciation for how my car drives. It is a very light car and handles precisely and very quickly. If you are not so use to driving quick response cars this one could get ahead of you a little bit. I really like this car a lot. Ready great car, only minor inconveniences. I love my car! My last car had so many issues, so this one has been a breath of fresh air. The only issues that I have noticed have been strange noises. I am not sure if it is the shocks but when I sit in the car, it tends to creak and crackle, and I am not super heavy or anything. I haven't really questioned it with a mechanic though so it could be something easily fixable. I bought it slightly used and it works great for a used car. The only things I do not like are electronics. The car has Bluetooth, but the Bluetooth only works for calls, not playing music through the car. Also, I have an iPhone and the USB port for chargers and connecting music to the car does not work for me. I am not sure why but I have to use the AUX cable for music still and the car lighter for my car charger. Nothing huge but it is kind of inconvenient. Great for single people. Good gas mileage. Not family friendly, trunk is roomy. When I first bought my car I loved it! Great gas mileage, looked good, kind to the economy. I bought it for long distances only. Now I have kids and a husband and it's hard to fit the car seats and sit comfortably. So now we're looking into a Kia Sorento for extra room. I have had a couple problems with the motor. I have had my engine replaced two times already. But other than that I believe my Kia Forte has been a great car. The gas mileage is not as good as when I bought it but I also have not kept up on my inspections like I should have. The trunk is great, very big and roomy! All in all I think the Kia Forte is a great single person vehicle. Not so much family friendly.